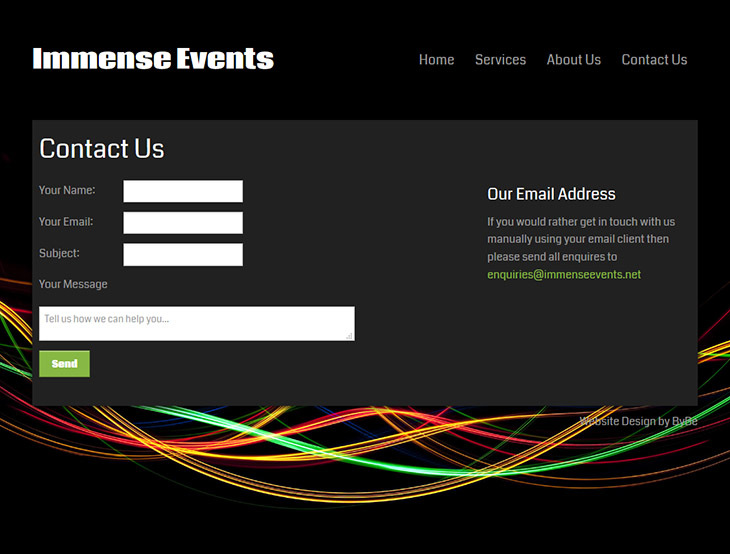 We have been providing Ben Dyas with various website design services for several years. 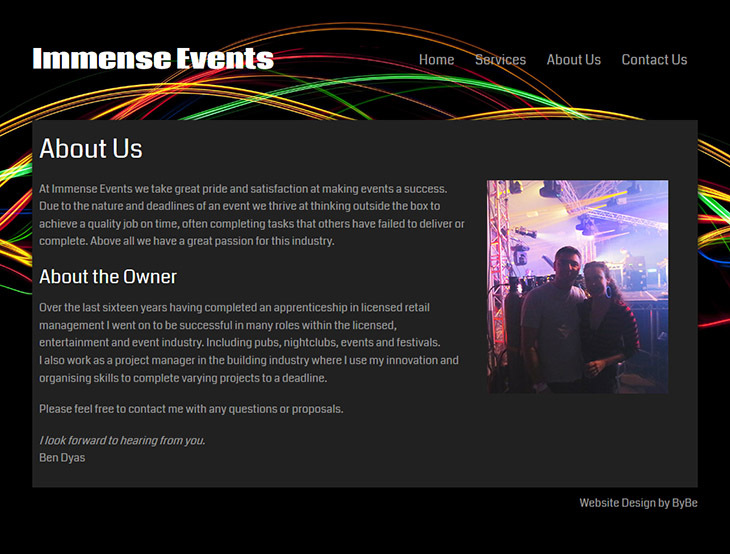 Ben is a professional entrepreneur who runs several small businesses in Bournemouth and Poole. 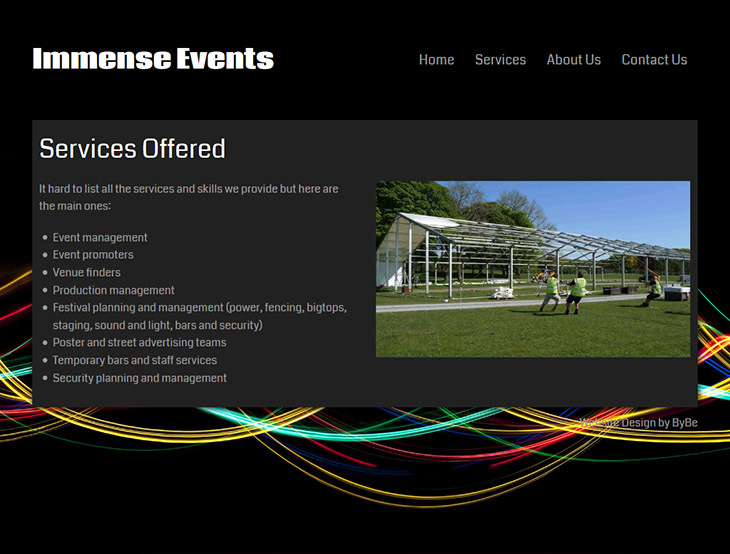 He approached us with a start-up idea he had and we helped Ben turn those ideas into a working website that looks great and something very fitting for his new business venture. 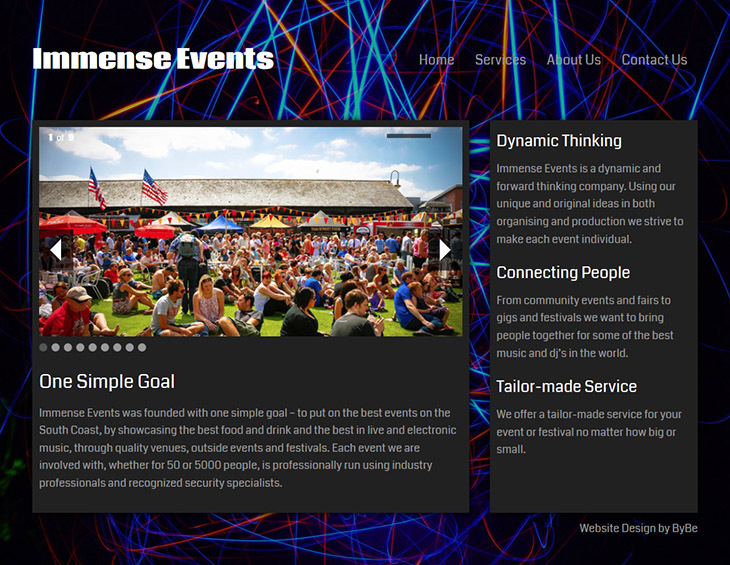 Immense Events is fully responsive in design thanks to the use of the very popular Zurb Foundation framework. It is powered by WordPress to allow Ben and other website designers to easily add and modify content on going-on.